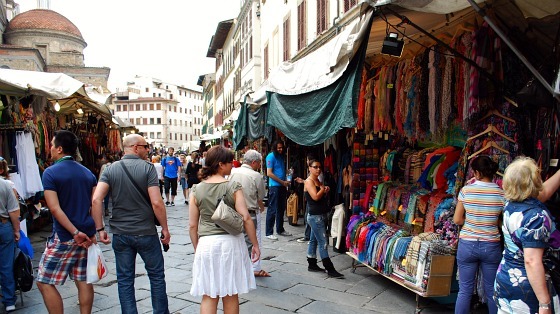 San Lorenzo street market in Florence brings together some of the most common Tuscan goods for sale in one place. 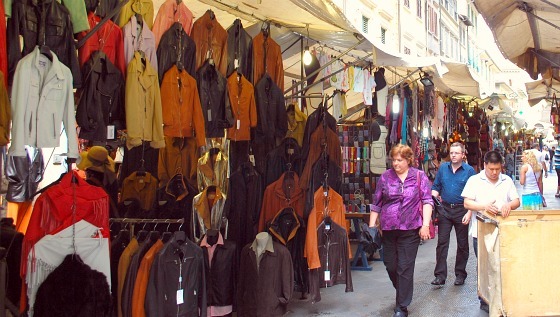 Leather is a big thing here, but you’ll also find scarves, clothes, souvenirs and ornaments. There is a lovely atmosphere around this market and if you were to stop at each stall you could easily spend an hour or two walking around it. In the heat of the midday sun, it’s a great place to get some shade too! If you do see something you like, it’s normal to make a close offer rather than just paying the price suggested by the trader. Having said that, you will not get vast amounts knocked off prices here as there is already quite a bit of competition with other stall holders. The market officially runs from 7.30am to 7pm daily (except Sundays) but as it takes the stallholders a long time to pack away their goods, it’s normal to still find some of them there till around 9pm. San Lorenzo street market is open every day except Sunday and is often still selling goods in the evening hours. It stretches around the Basilica di San Lorenzo, along Via dell’Ariento and down Via Rossina where you’ll find the Indoor Food Market (Mercato Centrale) which is definitely worth seeing while you’re here. It’s a feast of colour for the eyes and the smells are great too! 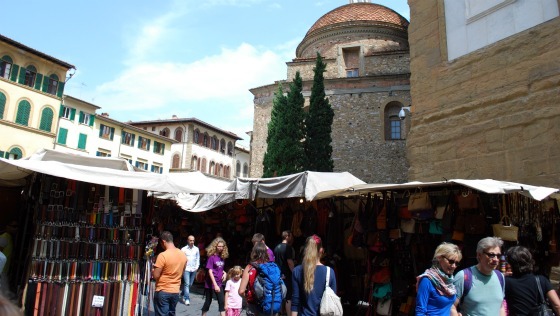 You may also like the Cooking Course and Florence Market Visit Tour which is highly rated by those who’ve taken it.